The Epic of Zektbach -Ristaccia- is the first album from Tomosuke Funaki under his Zektbach alias, which he has used for a number of songs in the beatmaniaIIDX and pop’n music rhythm games. These darker, orchestral-electro songs have developed into their own universe, with the background videos for the songs depicting an overarching story. Here Funaki compiles his existing work under the alias and fleshes them out into more complete works, while also providing a large body of new material. The end of the album also includes 5 orchestral versions of Zektbach pieces arranged by Osamu Kubota. Unlike many other BEMANI albums, this first Zektbach album is conceptual and coherent, and as such is a great success. Funaki’s first songs from the games were a sort of dark, epic pop. 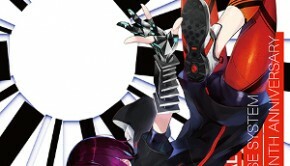 The compositions of “Blind Justice” and “Apocalypse” have identifiable verse, chorus and bridge segments with lead vocals from Maiko Horisawa and Yuu Tokiwa respectively. What made them special at their debut was their accompaniment, which had an excellent combination of strong beats, synths, and faux-orchestral elements accentuated in their varied arrangements. On the album, “Blind Justice” gets a dramatic and haunting new opening and smaller extensions here and there throughout the track to better bridge the different parts of the track. “Apocalypse” also gets an extended introduction, largely stripped down with focus on piano and vocal before launching into the familiar track though with some new lyrics throughout. Another track in this vein is “Shamshir Dance”, which eschews vocals for central melody on violin with a middle-eastern arrangement. The album version sounds much more mature than its pop’n counterpart, losing the brighter instruments while keeping the bounce and energy. It’s a bit longer than it needs to be, but it’s still a great track, as are the others here. Most of the changes to these tracks aren’t too surprising, but they work very well and aren’t simply lazy extensions. Funaki’s later work for the games showcase more complex compositions, while keeping the same dark orchestral-electro style. “Ristaccia”, “ZETA” and “Turii ~panta rhei~” still have vocals, but now they act more as another instrument, interacting more with the other elements and not holding on to the spotlight melodies. On the album, “Ristaccia” mainly just gets a new muffled piano opening before launching into the track, but it’s an effective new start to elevates the fantastic original. “ZETA” expands each of the diverse segments of the original piece without adding much new content, allowing the piece to breathe and have more impact rather than flying by. “Turii ~panta rhei~” gets much more dramatic build and an overall more epic sound with stronger mastering than the original. Again, perhaps not many surprising new elements, but they all work to make the album versions definitive editions of already great tracks. 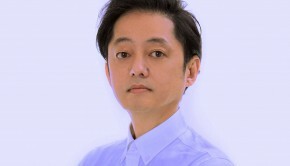 Funaki writes eight new songs for the album, some serving as interludes and others as full tracks, though none have vocals. “Ark Ouroboros” opens the album with a dreamy introduction that very suddenly becomes harsh and pressing. The stark contrast does wonders to grab the listener’s attention, and even on its own the second half is very grabbing. “Aria te’Laria” and “Holy Kingdom of Noigllado” are like BGMs for the setting, the first in a lighter mood and the second more serious. They don’t quite have the same unique sounds to them as the other tracks, and come off a bit as filler. “Nyoah’s Sword Dance” is somewhat similar to “Shamshir Dance” though much shorter, but also more frenetic and interesting with its chaotic virtuosic piano. “L’erisia (Primary Logic)” is a standout among the new tracks, with a cold dark atmosphere and a hurried pace that carries the listener through its jabbing violins, thick beats, and unpredictable synths. The three new interlude tracks “fragment”, “Rufina”, and “The Abandoned Island” are all beautiful short compositions that are heavy on atmosphere. For the most part the newer pieces are on the simpler side of things, but they are well executed and fit in well with the older tracks, filling out the album with more great material. Closing the album are five purely orchestral arrangements of previous tracks, arranged by Osamu Kubota. Structurally they follow the original songs fairly closely, changing things up more in the instrumentation and pacing of the material. 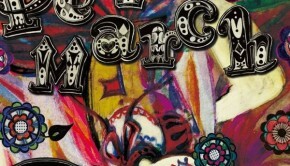 “Shamshir Dance” is one of the highlights of these tracks, communicating much more passion and energy than the original while emphasizing its exotic percussion. “ZETA” takes a bit of a step backward with its harsh male choir taking on the central melodies, which unfortunately they can sound a little amateur at times. The other three are all suitable arrangements that have some great moments throughout, particularly from solo instruments such as the opening violin of “Ristaccia”, the piano of “Blind Justice”, and the organ of the more subdued “Apocalypse”. It’s a bit of a shame that soloists are not used more, since they tend to shine and the larger orchestra sound is already present in many of the main album tracks. Further, while the idea is fairly ambitious the arrangements are largely quite safe and even simplistic at times, so they don’t feel as groundbreaking or unique as they could have been. They are not a bad addition, but the high expectations were not quite met with the orchestral tracks. 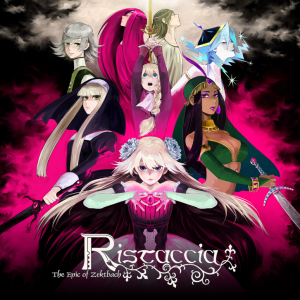 All editions of the album also come with a DVD, containing the in-game videos for “Ristaccia”, “Apocalypse”, and “Turii~panta rhei~”, animated by MAYA. They are unchanged, and are still set to the original tracks rather than the extended album tracks. Nothing unexpected or particularly special here (it’s really hard to get a good sense of what is happening in the videos without doing extra research), but it’s nice that they come without any extra cost. The Epic of Zektbach -Ristaccia- is a wonderful first album from Tomosuke Funaki’s Zektbach alias. The dark, orchestral-electro arrangements are a large departure from Funaki’s more typical bright jazz and lounge works, but he finds his footing quickly and explores the new range of possibilities throughout without getting worn out. The existing BEMANI songs get fleshed out into more complete tracks, and the new material makes for fine additions to the universe. 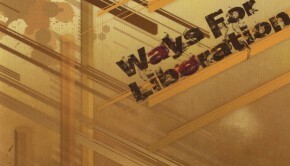 Kubota’s orchestral tracks are also a decent addition to the package. For anyone interested, there is plenty of story and drama to be found (with research) in the tracks and the bonus videos, but it is certainly not necessary to enjoy the album as epic and moody music on its own. Posted on March 9, 2015 by Christopher Huynh. Last modified on March 11, 2015.